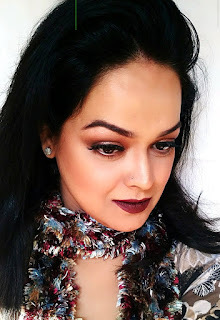 Yes most of us love winters but with the chill in the air comes a long list of personal/skin care products to keep ourselves moisturised and supple. A very common side effect of chilly weather is that it takes a toll on your feet and God forbid if you are dry skinned like me..there go a few cents extra to take care of those 'hidden in the socks' feet. I have tried a few cheap and not-so-cheap alternatives/home remedies for heel and foot care and finally gave a try to my beloved brand Patanjali. Lets see what are my views on the product in question i.e. Patanjali Crack Heal Cream. Our body has a love-hate relationship with sebum. When wehave just the right amount of this oily substance, it helps protect our skin. Sebaceous glands, which produce our body's sebum, are found everywhere on our skin with the exception of the palms of our hands and soles of our feet. And that's the reason why our feet get dry,scaly and cracked. What it Claims: Helpful in healing cracked heals. Directions for use: Apply 2-3gm on the cracked area. 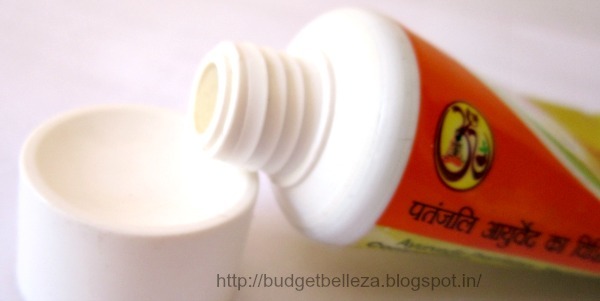 Patanjali Crack Heal Cream comes in a typical Patanjali yellow squeeze tube with a screw cap. Practical and travel-friendly! The colour of Patanjali Crack Heal Cream is pale yellow and it has a pretty strong smell of camphor that might irritate sensitive noses but I like it..very refreshing. The foot cream's consistency is quite thick..just what a foot cream should have. It gets absorbed in the skin as if the skin was aching for it since long :P Post application though it feels nice on the feet,it gives a greasy sticky feel to the palms of my hand and i have to wash my hands off. Since there is no elaborate "direction to use" on the tube,I did the most common method of soaking scrubbing,wiping and applying the foot-cream method and Whoaaa..within few days my feet became baby soft. It actually works well. Now I don't have scaly/cracked heels but they do become dry and hard if neglected. But whatever the case I love love love this and use it regularly! 1. It actually works..heals cracked heels! 5. Correct consistency for a foot cream. 7. A little goes a long way. Apart from its availability I cannot find a con and in my the store's near by so absolutely no con for me! Yes it feels sticky to hands post application but then guys its for feet and as long as it does what it is meant for..and for that matter it does it pretty well.... why do we buy hand washes for? P.S. Would love to know your HG foot cream? Hey Neha..this would heal up for sure.. Aww thats bad..btw,where do you stay? 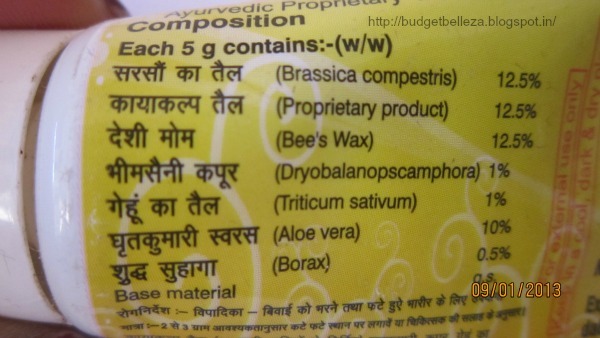 I have not tried patanjali product. Thanks dear for the review. Sounds like a good product. I have not tried patajali produts yet... Will do now. I am currently using the scholl foot cream and fab india avocado one. Wow!i really good and fantastic blog which i really like it nice and i get many information about the foot care and i like it.